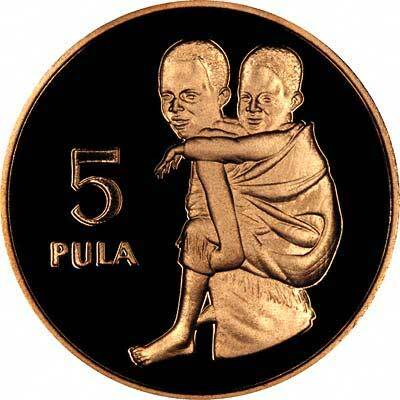 Botswana only isued its own coins for the first time in 1966, and its gold coins are commemorative pieces. 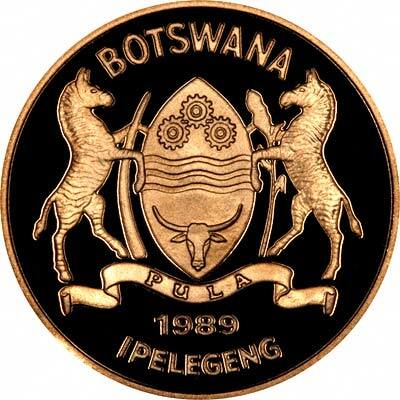 The word "IPELEGENG" appears on this coin, and on most coins of Botswana. Ipelegeng means to be self sufficient or independant. It can also describe efforts to lift one's self up - in other words, to better one's self. For silver and base metal coins of Botswana, please look at our original Chard Coins website.